Welcome dear friends, to my annual review! It has been my tradition for several years now to have a look back at the year which is ending before looking forward to the year to come. As I look back at the year that I’ve had, I encourage you to also look back at your own year, and appreciate it for what it’s been. This is my 2016. 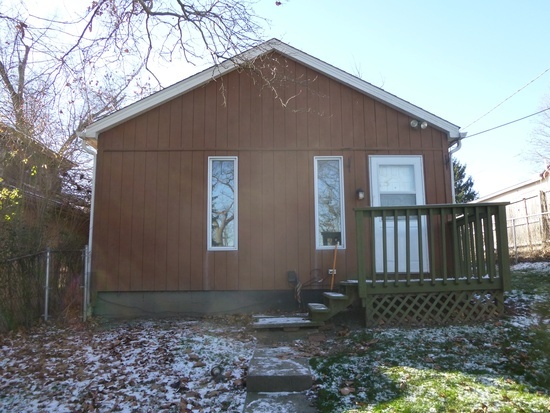 In January we found a house. This was an adventure which spanned several months as we adopted cats that we couldn’t keep in our apartment and realized too late for comfort that our lease was up sooner than expected. A month is a lot of time to lose. Our search was put off through the holidays and crunch time started in January as we had to be out by the end of February. God, as usual, is the coolest and gave us the perfect place just in time and gave us a snow storm to keep another couple from looking at it as we made our decision. Unfortunately, the excitement of our big move was lost in the sorrow that came with losing Logan’s grandfather, Mac, an unfortunate theme of our early 2016. February was a rough month full of madness. We started off with the funeral for Mac, mixed with the rush of packing for our big move. It was a hard week on everyone, but especially Logan as he and I both had a cold for the first half, which was only aggravated by the grieving. Once we had said our goodbyes, though, and we began to adjust to our new reality packing became our full focus. 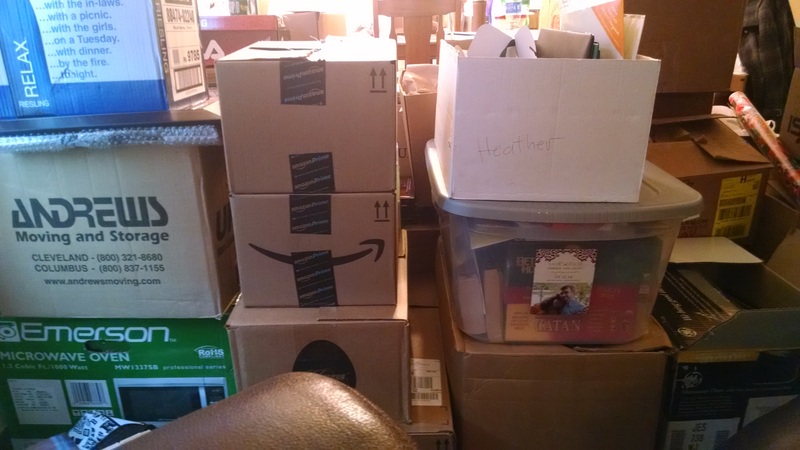 My wonderful moms helped so much with getting everything boxed and taped and padded and when movie day came everything went better than we could have hoped for, despite it being the coldest day of the year. We had an excellent team of friends and family to help us, many strong men to carry all the things, and I didn’t have to do practically anything other than direct traffic. Meanwhile our cat friends were getting their big girl surgery and recovering with my in-laws before their big move. After two weeks’ recovery, we finally brought them home to live with us forever. February took another loved one from us, unexpectedly, as the church’s grandmother lost her battle with cancer in the space of a couple weeks. I hate to end two months in a row with tragedy, but that is how this year has gone. Moving forward in 2016 has been rough without these two beautiful people by our sides. In March we settled in with the cats and started the Adventure of Calamity’s digestive system. Our cat has a sensitive stomach which is prone to revolting if not kept to a feeding schedule. At my in-law’s place, they free feed and it’s fine, but Calamity gets the runny poops when left on her own too long. So, March was spent trying to get that under control so that our whole house was not covered in cat poop. In the midst of that we also made our first trip out to Indiana to visit Lauren at college. Logan had been out there before to pick her up for a break, but never to visit. 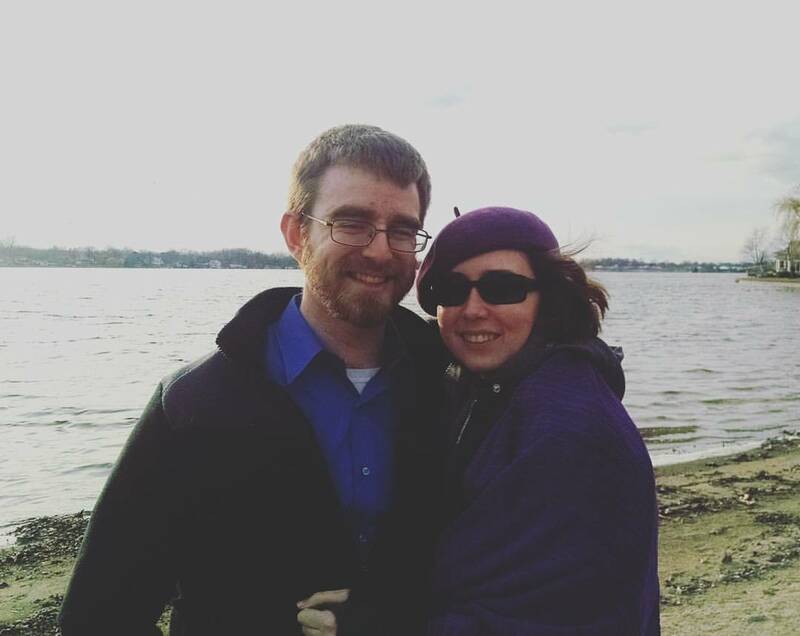 After driving all the way to Maine and back and then to Boston and back the year we got married, seven hours to Indiana was pretty easy. We had a lovely trip to see Lauren’s art show and some very nice friends of ours took care of our poor cats. We enjoyed Easter with my dad’s family, as usual, and welcomed the warm weather back earlier than expected, only to get snow on the first day of Spring. Funny how that works. 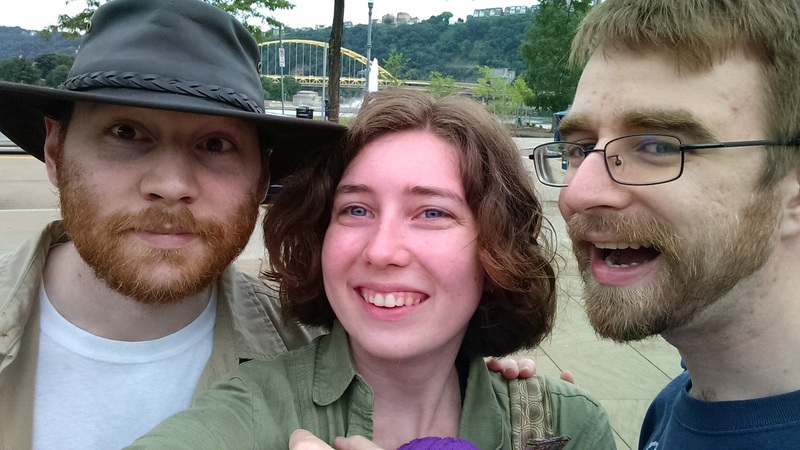 In April I went to Tekko, an anime convention in Pittsburgh, with my brother. He stayed in our house for the weekend and we drove out each day together. I’ve gone to Tekko before, but I feel like I enjoyed it more this year as we actually walked around the convention and went to panels and things since Eric wasn’t running games. We hung out with my friend Goose, which was quite lovely, and I got to see many of my college friends. April also started wedding season. We had eight weddings this year. In April, it was one at the beginning and one at the end, with a reception in the middle. So, two and a half? It was an interesting month. 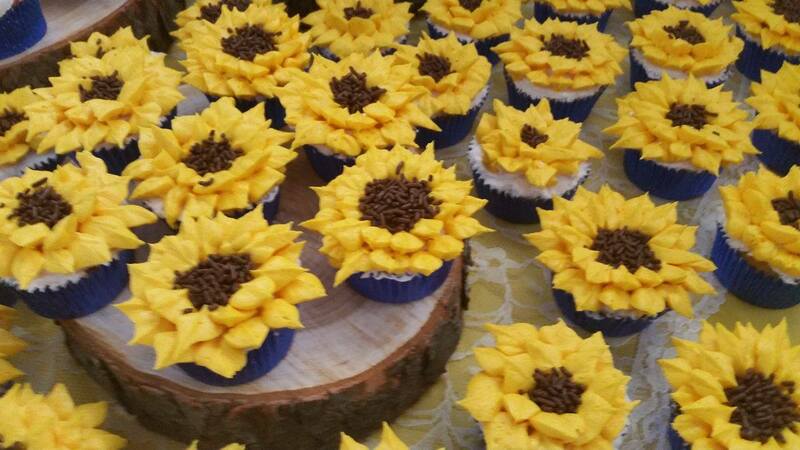 I made cupcakes for my cousin’s wedding that looked like sunflowers to match her theme. My phone also, somehow, managed to survive a swim in the creek, so there’s that. May brought us back to Indiana for Lauren’s graduation, which was an exhausting trip, but totally worth it to have Lauren home again. I managed to lose my phone on the way home somewhere in the dead zone of Ohio. Luckily for me we have some really cool friends who happened to have the same phone that they weren’t using anymore, so I didn’t have to go without a phone for more than a day or two. 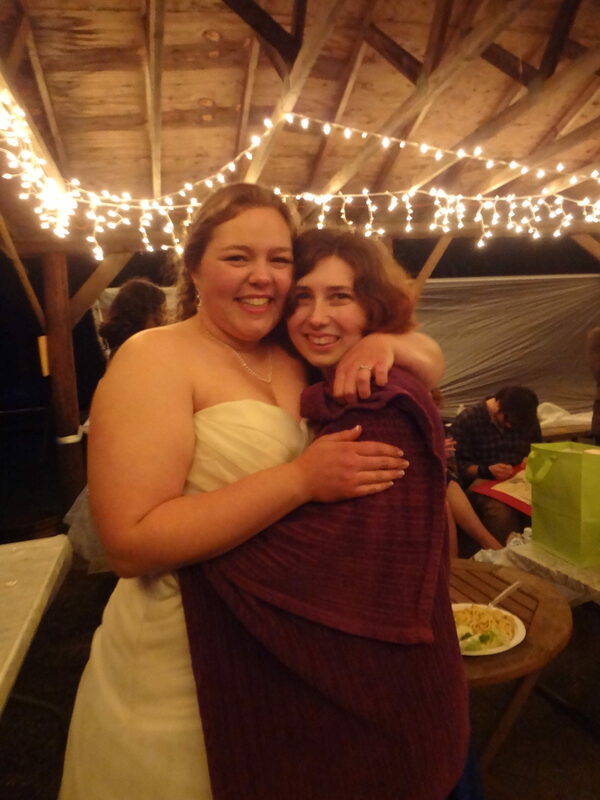 I also got to enjoy time with my theater family at two theater weddings. That, too, was a long weekend as we attended a wedding on a Friday and then drove out for the second one on Saturday near Philadelphia. Many adventures were had, as you do. I finally got around to putting in my first garden with the help of my awesome dad. And by help, I mean he did the whole thing and I just told him what I wanted. Because that’s how that works. I was super excited about it, though, and did my best not to kill anything. The pepper plants didn’t pan out, but everything else went pretty well once I figured out the whole plant food concept. In May, you read: My First Garden. June was hot, rainy, and busy. 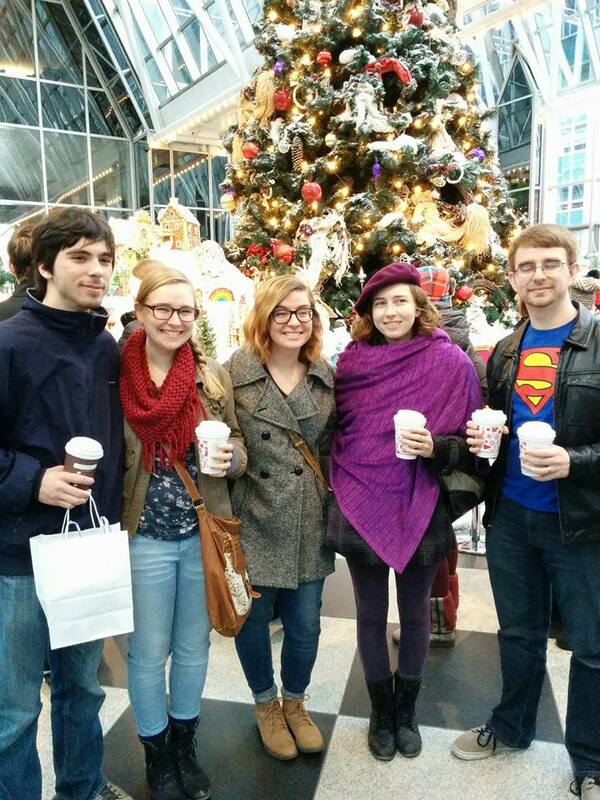 We went to a very wet art festival in Pittsburgh with some friends and ended up hiding in a hotel lobby. We did some cat sitting for the Pandas while they were in California. They had two very nice, but kind of derpy cats at the time. They’ve since added a third, very special, but very sweet cat friend to their collection. We attended two more weddings: one for our good friends from D&D, which was beautiful, if sweltering, and one for my cousin in my dad’s side, which was also lovely, if quite warm. I got to go to Build-A-Bear for the first time ever. 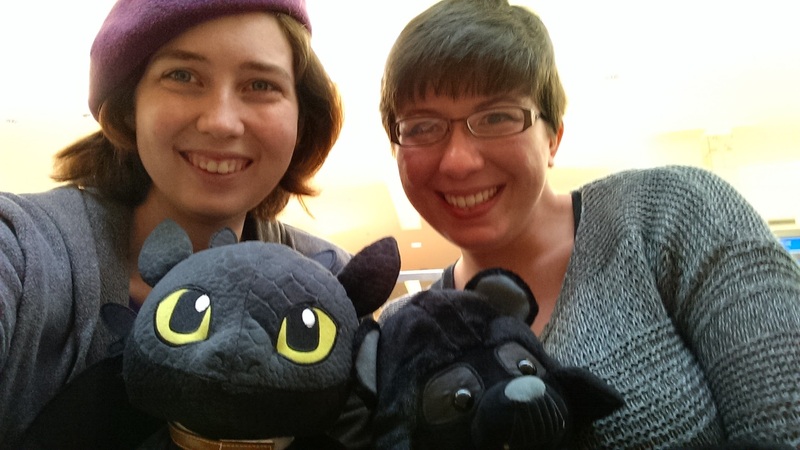 Courtney and I went and made a Darth Vader bear and a Toothless the Dragon respectively. It was exactly as much fun as you would expect. My garden began to show fruit and to round out the month, I got attend the first of my college friend baby showers. In July I did NaNoWriMo Camp, which actually went pretty well. They let me set my own word goal, which I still didn’t reach, but you know. I still did better than most years I’ve done regular NaNoWriMo. Like this year, for example. Anyway, July is also our anniversary month! So, we did a super chill celebration this year which got thrown off by a stomach bug. My poor husband was sick most of the day, but still managed to muster up the strength to go to the MST3K reunion show. This was also the month Pokemon Go became a thing, so there was a lot of that going on. Logan and I enjoyed several park days catching Pokemon and reading comics. We went to a Lindsey Sterling concert with my brother in Pittsburgh. It was a great show, from what we could see of it. We weren’t standing in a great spot and my husband is uncomfortable in large crowds so we couldn’t move forward to see better. But I did get some good pictures and the music was excellent. And we stood beside a PokeStop for most of the line waiting process, so that was nice. August was the big vacation month! 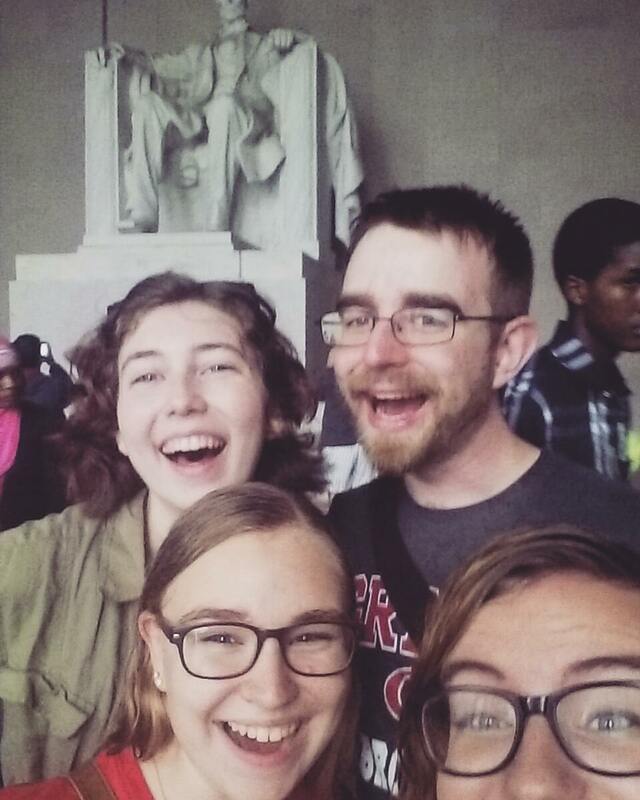 We had been planning to go to DC with the family all summer in a vague probably kind of way and we finally found a week that would work for everyone and solidified the plans and went! Logan and I stayed with Twirls and Ryan, which was lovely. We didn’t get to hang out with them as much as we would have liked, but it was nice to at least get to see them every day. We did so much walking in those six days. We walked to all the places and around all the places and it was rough, but worth it to see all the things. I would love to go back sometime for a little more of a low-key adventure, but there is so much to see there, it’s hard not to over book. Also in August, we finally got the light in our dining room fixed, which involved a guy coming into our house, tracing the wiring from the light to the switch and discovering that the switch which controls the light is in turn controlled by another switch, which was off. That was the whole fix. It was pretty special. Directly after returning from DC we got to move Lauren into her new apartment, which was its own adventure, though a pretty smooth one, as far as adventures go. September is Ren. Fair month and birthday month for me. We went to the Ren. Fair super early this year as we only had one free day to go and it happened to be Labor Day. We were supposed to have a wedding that weekend but due to complications the couple ended up getting married in June with a small ceremony and we ended up with a free-ish weekend. This year’s group was the D&D crowd, which was quite lovely. We enjoyed some medieval entertainment and then went to Cracker Barrel, as is tradition, apparently. This year I turned 25 and what does every 25-year-old want? A game system. That’s right, I got a 3DS for my birthday and I love it. We also had an adventure for my birthday dinner as we tried desperately to find a place that was open to get dessert and were thwarted at every turn. We ended up at Denny’s finally, as they are never closed, and enjoyed some tasty treats there. Logan and I made our usual trip out to Cheeburger as we do once every year for my birthday lunch. I managed to destroy the screen on my replacement phone and thus finally had to actually get a new one. My new phone is giant, but it works and I like it now that I’ve accepted the fact that it will not fit in any pockets ever again. Except one. I have one pair of pants that it fits into, go figure. In October we said goodbye to my Uncle Roy. He passed away suddenly of heart failure due to a long-standing condition. He was a good man and is sorely missed. 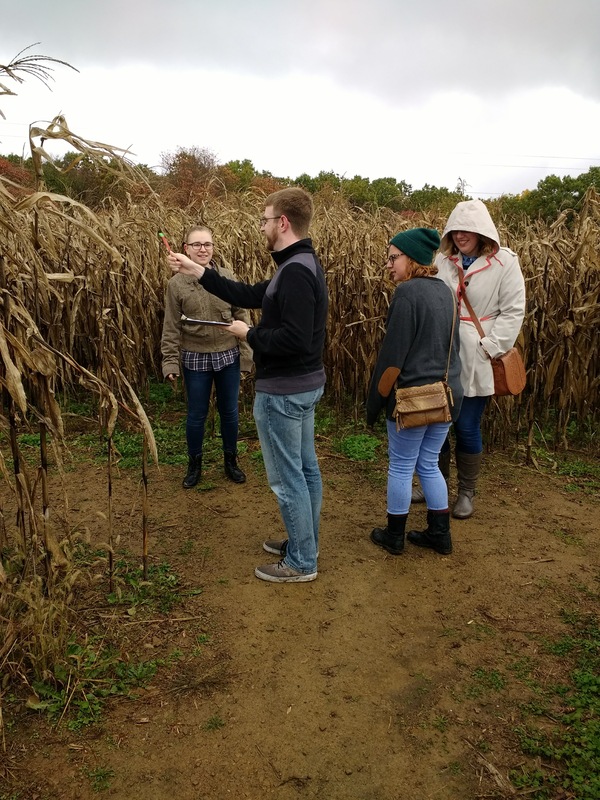 We had lots of great aspirations of doing lots of fun fall activities this year, which we partially accomplished, so I’d say it was a good year. 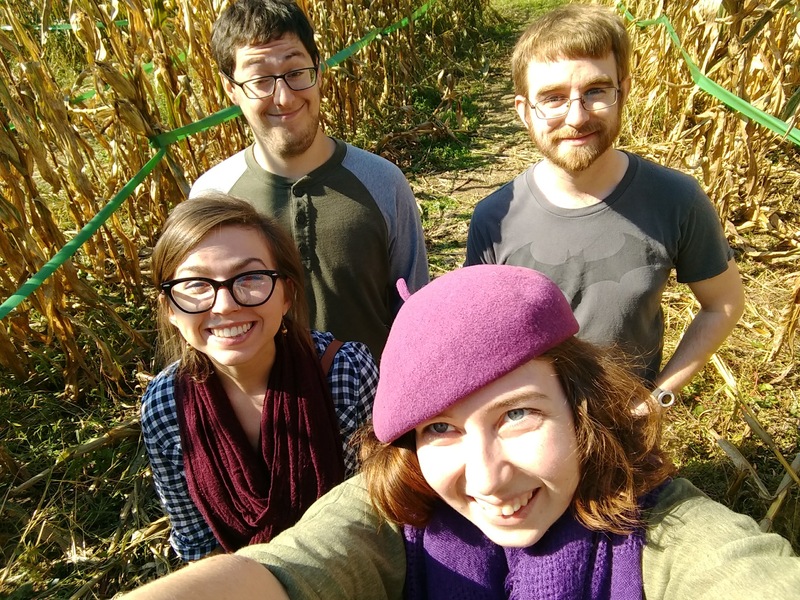 We went to a very small harvest festival with the Pandas and then found a slightly bigger corn maze nearby to enjoy. We learned all about the farm industry as we went through and got to put our little stamps on their wall for completing it. We also enjoyed a corn maze/mapping activity with my sisters-in-law and friend. It was really fun, actually, and we managed to map out the whole thing, find the hidden message and all the shapes and figure out the two themes for the year. As a prize, we got a buy one get one coupon for next year’s maze. I definitely want to go back and do it next year. I just have to remember that the coupon is in my copy of Sense and Sensibility, which was my Austen book for the fall. We also enjoyed the first Psalm sing we’ve been able to attend since before we got married. I was super excited as the Psalms are my favorite. Our Bible study group practiced 119X every week for over a month so we could sing it with the church. It went really well, actually. 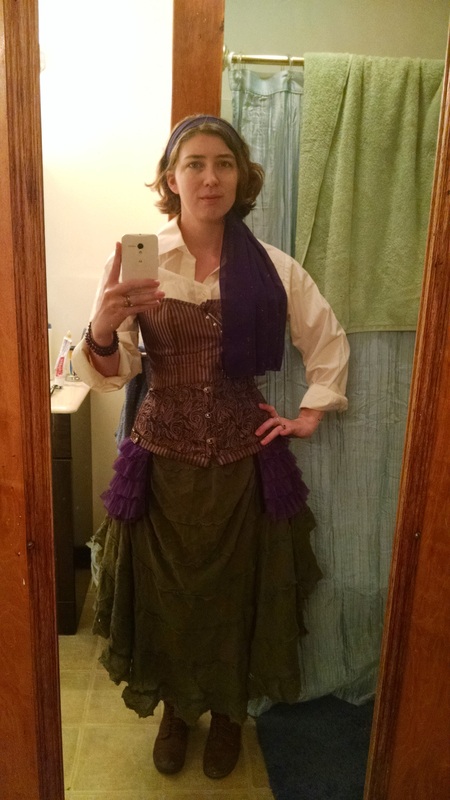 For Halloween, we played Dred with some people from our D&D group. Dred is basically a roleplaying game meets Jenga. It was really fun and we only lost one person. November is NaNoWriMo month, a time of thankfulness, and a time for more cat adventures, apparently. 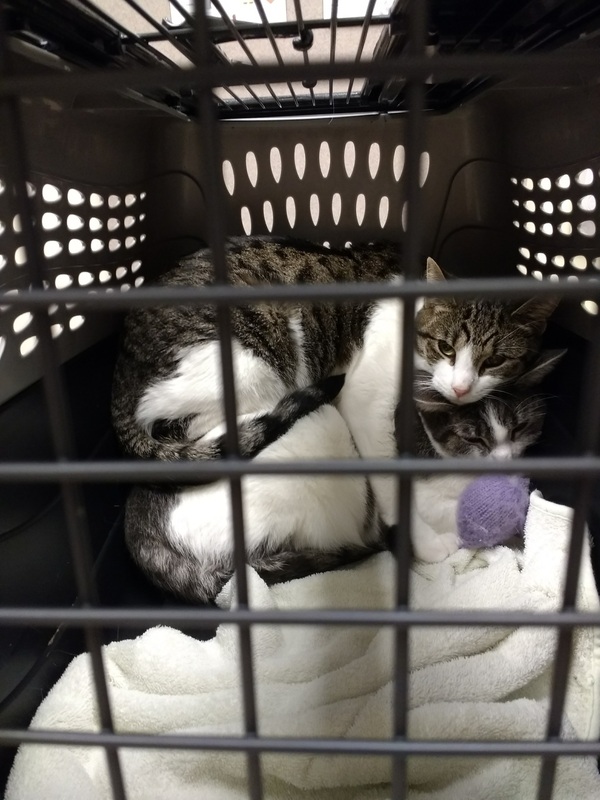 Our cats had been doing so well, until I took them back to the vet for their annual check up and shots. Both Pearl and Calamity had a reaction to the vaccines which caused us much worry and some clean up. I spent a whole day just watching my girls, waiting for them to eat or drink anything so I could text Logan all about it. Thankfully they recovered fairly quickly and have been mostly fine ever since. NaNoWriMo was a flop this year, as it is some years. I did a good chunk of back story writing, but not nearly as much as I would have liked. Whoever thought a month with a major holiday and the beginning of a big holiday season was a good time to write a novel needs to reconsider. Anyway, I did figure some things out about the characters and the backstory behind the novel and I might be one of those people who starts writing one novel and then writes an entirely different novel because I got so into the history behind the first. Thanksgiving brought us the now traditional Turkey Trot with my sisters-in-law and now the Fulk girls as well. I did not get sick this year and was able to do Thanksgiving with my family as well, which was awesome. December has been busy, as always. We did all the things basically every weekend. I decorated the tree with two surprisingly well behaved cats, put out my ornament bowl without any issues and even got us some stockings for decorating the fire place. Logan’s is on the left side and mine is on the right and it pleases me more than it should that they have our initials on them. We did Pittsburgh with the in-laws, as always, made cookies with my family, went to a Christmas musical with my little cousins and went to all the Christmas parties. We had one with Logan’s work friend group, one with his mom’s side, the big one with his company, one with our Bible Study this past week, Christmas Eve with my family and then Christmas day with his. We sent out Christmas cards for the first time, and I even got to watch most of my Christmas movies. It’s been a pretty good Christmas, I think. We even got a whole day to do Christmas all by ourselves. And there you have it, dear friends. A whole year of Purple adventures. We were supposed to go to a New Years Eve party tonight, but the hosts are sick today so we’re not, which makes me feel better because I too am sick and would feel bad skipping out otherwise. It has been a very long year, but then again, it always is, isn’t it? Today I am thankful for the blessings that 2016 has brought us and look forward to what 2017 has in store. Happy New Years, my friends.